Mike is a 1981 graduate of Daemen College with a BS in Physical Therapy. 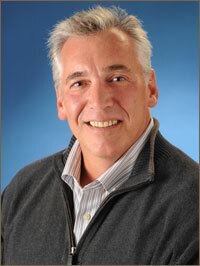 He is a co-founder of Saratoga Physical Therapy Associates bringing over 35 years of experience to the practice. Mike’s emphasis to his patients is the importance and implementation of proper postural alignment, core integration and proper body mechanics during activities of daily living. Mike has treated thousands of patients in the Capital District including professional, collegiate and Olympic athletes. Helping patients achieve their optimal therapeutic benefit, Mike has attended continuing education courses with noted instructors including Kevin Wilk, DPT and Mike Reinhold, DPT, leaders in the field of knee and shoulder rehabilitation. Patients with total hip, knee and shoulder replacements, ACL surgery, rotator cuff and hip labral repair are Mike’s special interests. He strives to provide the patient with a skill set of therapeutic exercises to ultimately achieve their goal. A native of Auburn, NY and a 35 year carpetbagger of Saratoga Springs, Mike continues to root for the Buffalo Bills.